Until recently the thought of using an oil on my skin seemed completely alien to me - wouldn't it just make it oiler? Thankfully I've realised the error of my ways and using a facial oil as part of my evening skincare routine has become something I enjoy reaching for at bedtime. I currently have four in rotation to tell you about today. Kiehls was my first step into the 'oil' arena and one I grew to love very quickly and my word does this bottle seem to go on forever. Until recently it was my oil of choice and used frequently but the contents are still going strong and this is because a few small drops are enough to cover the face and set to work. The scent is the perfect accompaniment to aid sleep due to lavender essential oil (a scent I'm usually not a fan of) and I awake with hydrated skin that looks wide awake even on the nights when I have tossed and turned. Having been such a fan of Kiehl's Midnight Recovery I was interested to see how Palmers Skin Therapy would compare. Often where skincare is concerned we go for the higher end of the market assuming that's where the good products are which is not necessarily the case where Palmers Skin Therapy Face Oil is concerned. Palmer's have sat back and watched everyone putting out their oils so they could get there's just right and I'm impressed. Palmers Skin Therapy Oil feels much thicker than the Kiehls offering but in no way heavier just a little more greasier, not that this concerns me as I apply my oils before climbing into bed. For less than half the price of Kiehl's you are getting a fantastic oil that contains Retinol and Vitamin C as well as excluding parabens. I certainly find this helps again with a glowing appearance come morning. I picked up a little duo featuring the Josie Maran 100% Pure Argan Oil (and a cleansing oil which I'll tell you about another day) whilst on holiday and sadly this is my least favourite of those I'm mentioning today. On application the oil felt thick yet soaked into the skin almost immediately so it's was drier than I would expect after using one of these products as because of the previous two mentioned I like to enjoy them on my skin and working in overnight. The good news is that Josie Maran Argan Oil can be used for a multitude of purposes such as treating split ends and cuticles so I think I'll try that instead. I first received the Tarte Maracuja Oil as a reward gift with some Sephora purchases last year and it was thrown to the back of the drawer. When new's of Tarte coming to the UK via QVC I thought it was time to dig it out and give it a test run and cursed myself for leaving it so long. The Maracuja Oil sits between Keihls and Palmers in texture and like the Josie Maran Argan Oil is quick to soak into the skin. 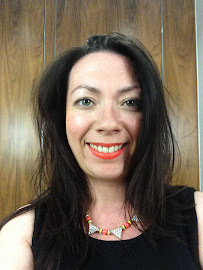 The great thing about the size of the bottle is that it's ideal for travel and was what I took on holiday as my night treatment, slightly concerned that the use of oils whilst in a hot location I'd suffer from oily skin but I had nothing to fear. 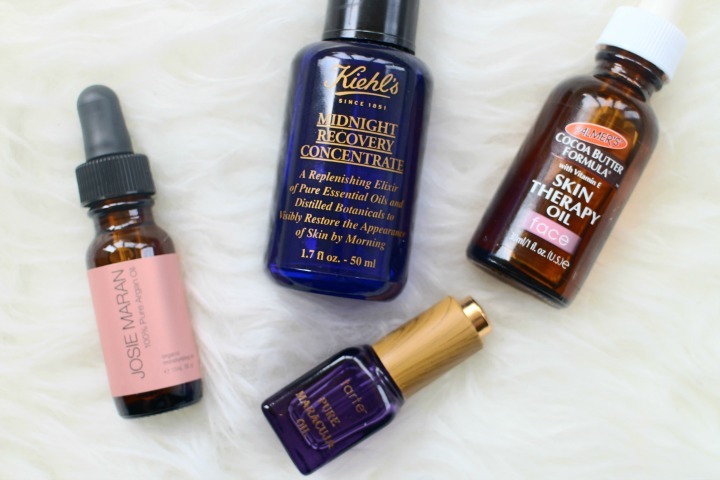 So there you have my four facial oil picks, what are yours?